Information technology is rapidly becoming a critical tool in fulfilling any university's mission. 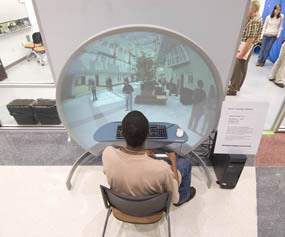 Education, scholarship, and service to the state and region all depend on information technology: that is, on computers and communications. 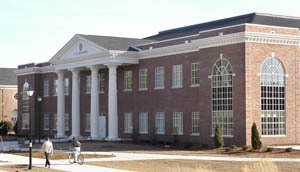 The CIS facility opened January 10, 2007 for the Spring 2007 semester. 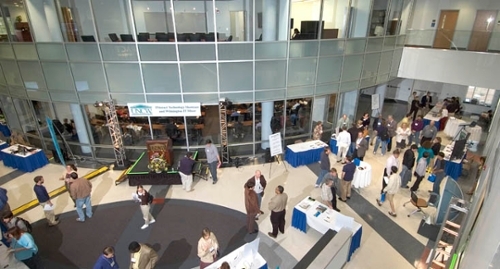 UNCW's CIS Building is helping Southeastern North Carolina transition into the digital age. The primary goal of the "naming rights" campaign is to provide for growth in UNCW's endowment levels, which rank far behind many of our peer institutions. The "naming rights" program essentially offers a unique gift opportunity for the donor through the creation of a named endowment and the honor of being recognized with a permanent named space in the new building. If you would like more information on Naming Rights for the Computer Information Systems Building, please contact Dean Robert Burrus, Cameron School of Business at (910) 962-7301 or email burrusr@uncw.edu.